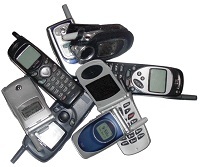 Why not include the lastest cell phone frenzy? Of course only after the upgrade. Cells phones change all the time. It would be interesting to see if the one in the capsule is ancient after a few decades. That really is a great idea! I still have an old cell phone nobody uses anymore and will include this into the baby time capsule for my nephew. Thank you! Return to YOUR TIME CAPSULE IDEAS.